Clients~RWA. – Countryman's Diary Magazine. Our friends over at RWA are so busy they thought it would be better to just send their customer accolades to share with you all. Here on this page at RWA, you will see just a glimpse of some of the many and varied satisfied customers that we have, all written in their unedited words so that you our future customer can see for yourself we really are wild beyond your dreams, We know you too will want to be added to this accolades wall after using our services. We would just like to say a huge thank you! The whole experience was amazing we couldn’t have asked for anything better. Harry was over joyed and his friends have not stopped saying what an amazing time they had! 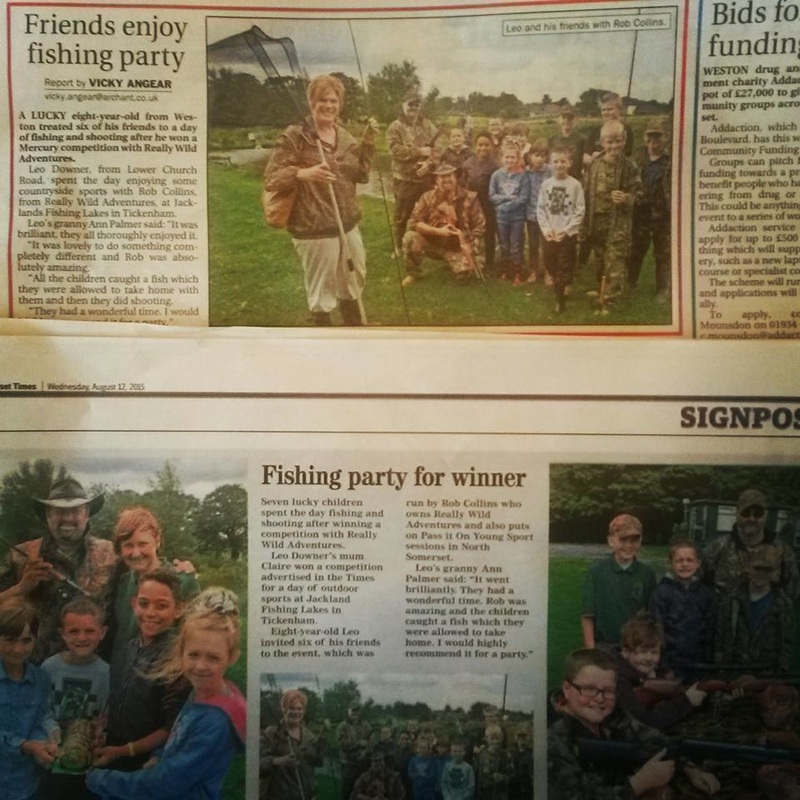 They got to experience fly fishing with Rob (some children catching absolute monsters) shooting range with James & Michael, Bush crafts with Mark and Ross with course fishing. We had all of those activities in one place! It was great to see all of the boys completely focused and engaged in each activity. Rob was extremely thorough with safety meaning that the boys knew they had to behave. There was not one single problem and each child learned a new skill! The day was finished off by building a fire to cook the trout they had caught and try new meats! We cannot thank you all enough for the outstanding service you provided us. 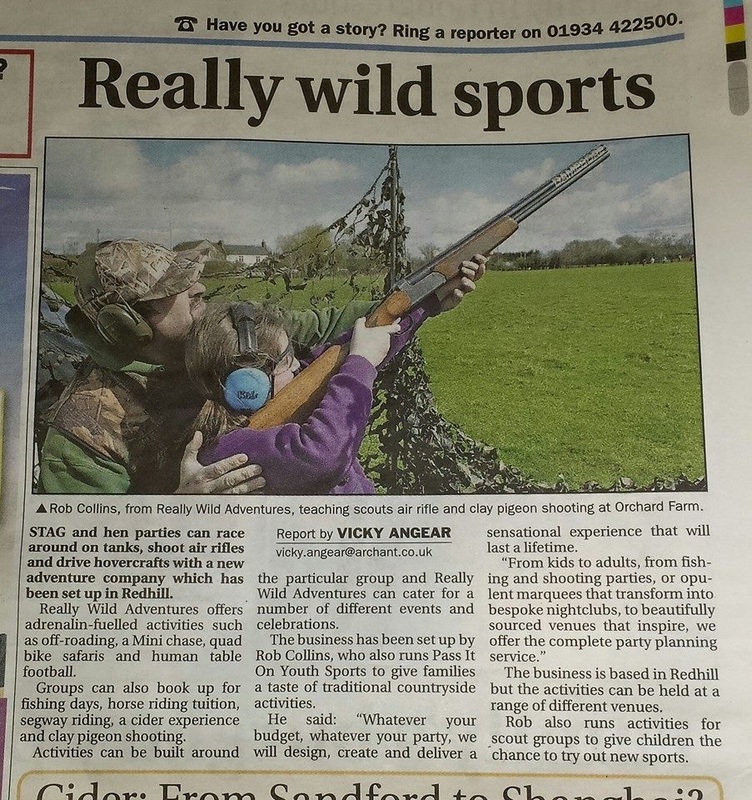 It was an amazing day and you truly inspired these children to have fun and be safe outdoors! Thank you so very much! Harry will be the talk of the school for a while to come!! 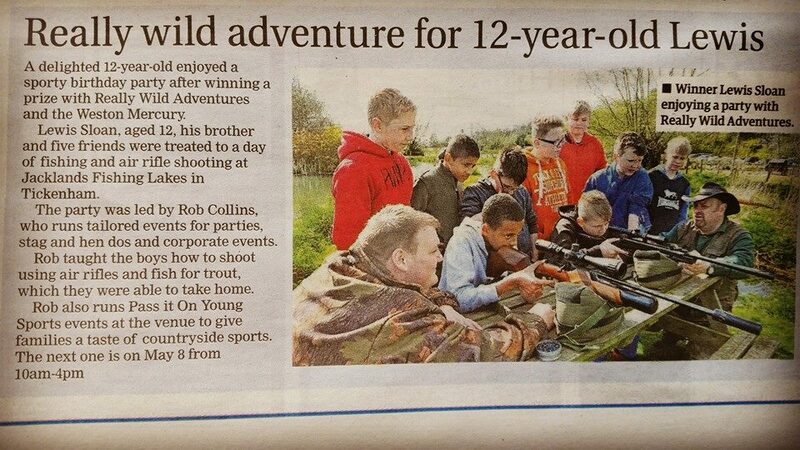 “Cosmo and his friends had a fantastic time with Rob from Really Wild Adventures recently for his 9th birthday. 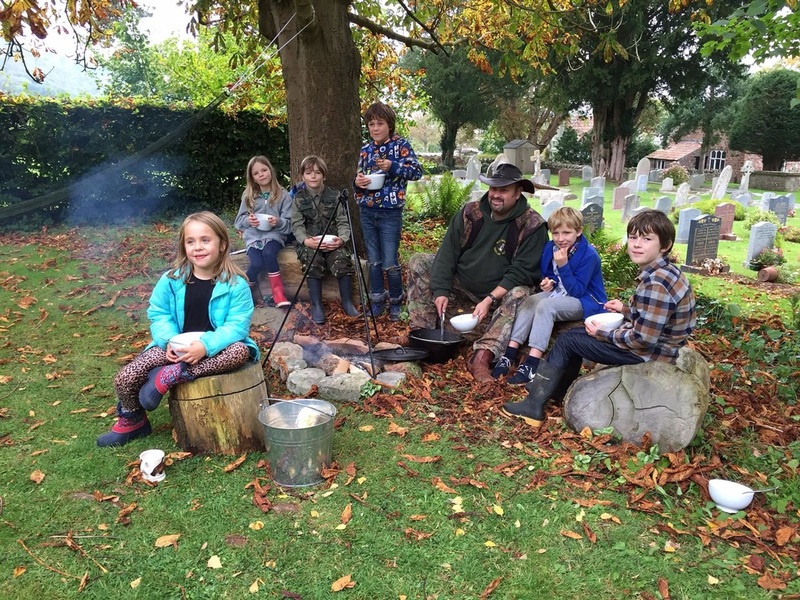 They built a base camp with a den, learnt how to make a fire with flint & steel and then ate rabbit and venison stew around the camp fire. 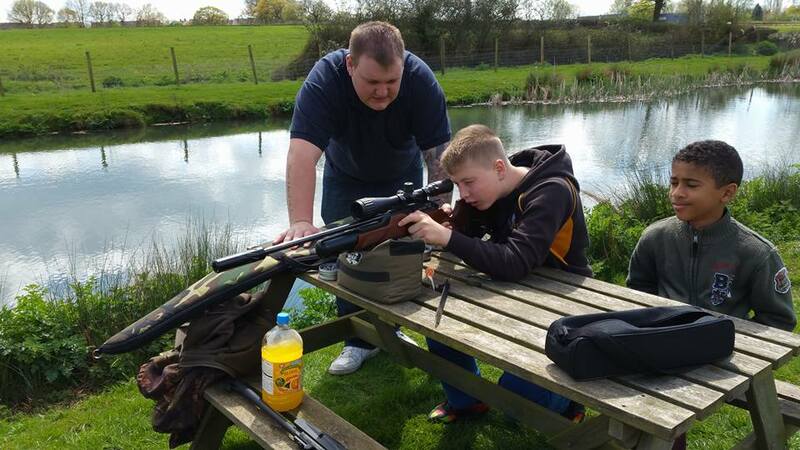 They also, under Rob’s guidance had a go with rifle shooting at a target and archery. 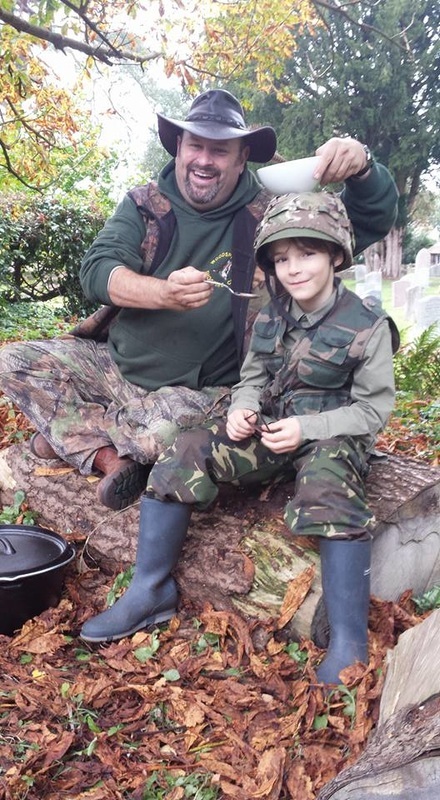 They absolutely loved the experience, Rob went above and beyond the call of duty at getting them all involved and into survival and adventure mode. 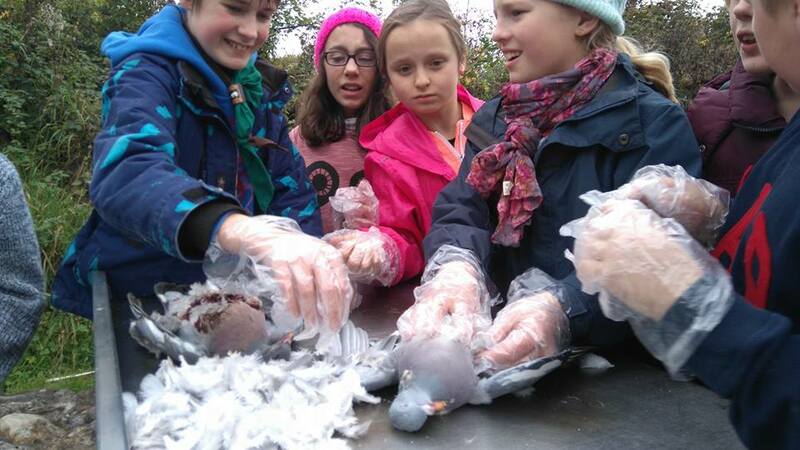 A really fantastic birthday party enjoyed by the girls just as much as the boys (and adults too!). 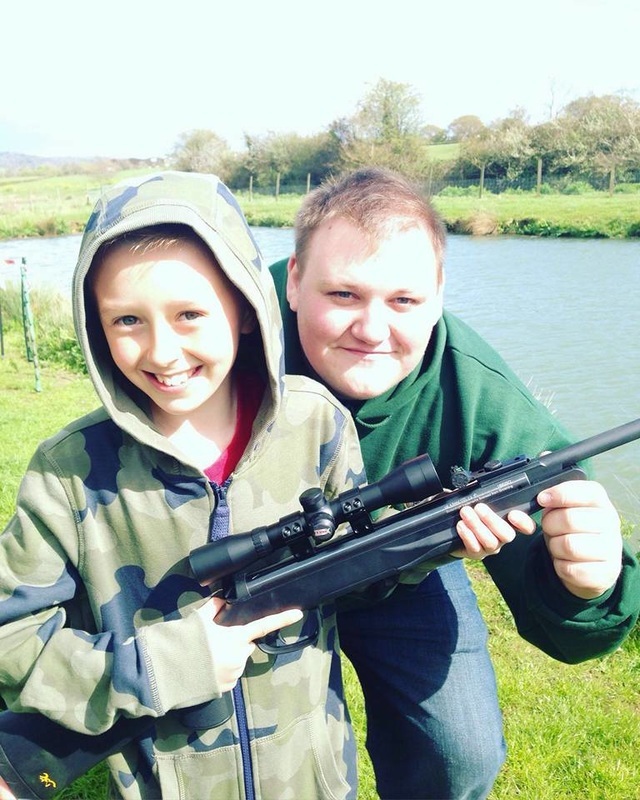 I would highly recommend Rob to anyone looking to hold a different type of child’s party” L.
THANK YOU THANK YOU! For Sunday. Fantastic day, our best yet, hope you all enjoyed it as much as we did, very busy day. Hope Somerset show went well and not too exhausted. Please thank all involved, great effort. Thank you from your no 1 fan Cosmo too! Luca and Team Ring O Bells! 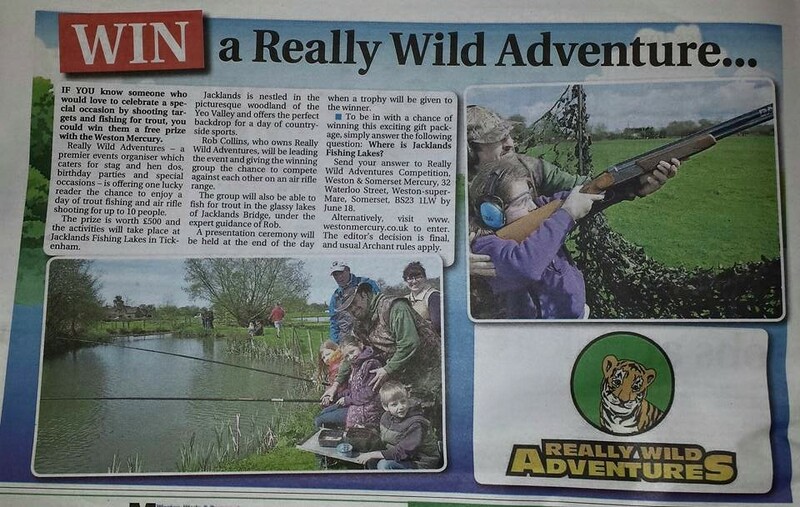 I am writing to thank the Mercury new paper for the fishing and shooting afternoon I had won. 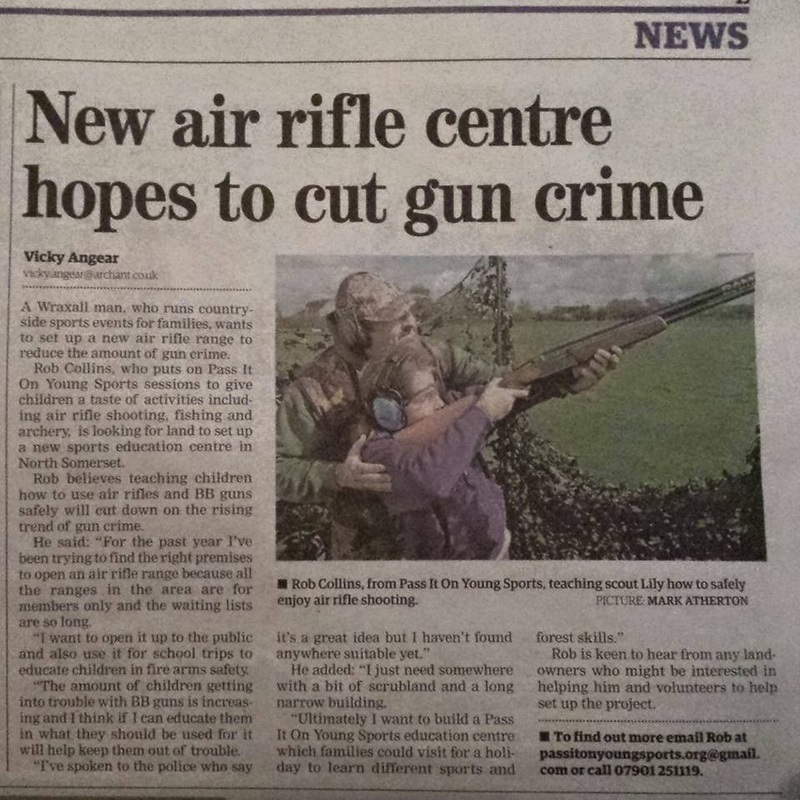 It was one of my grandson’s 12th birthday and we arranged for him, his brother and 5 friends to use this opportunity as a birthday treat. 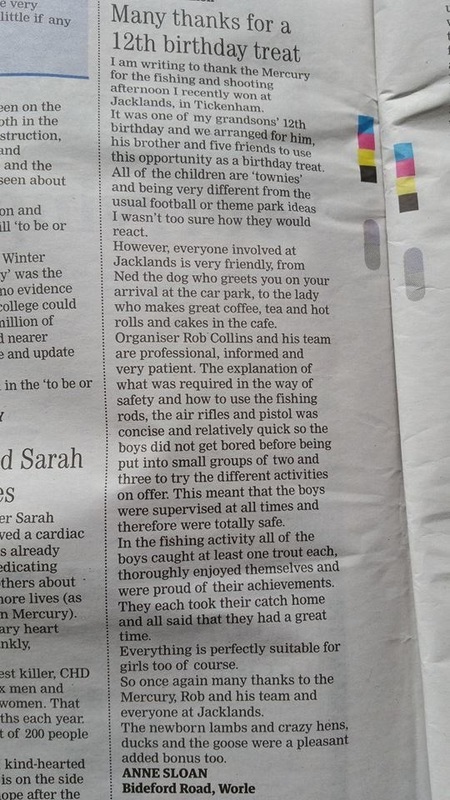 All of the children are ‘Townies’ and being very different from the usual football or theme park ideas I wasn’t too sure how they would react, I felt compelled to put this in writing to thank the Mercury for the great afternoon we had following winning your Really Wild Adventures competition. 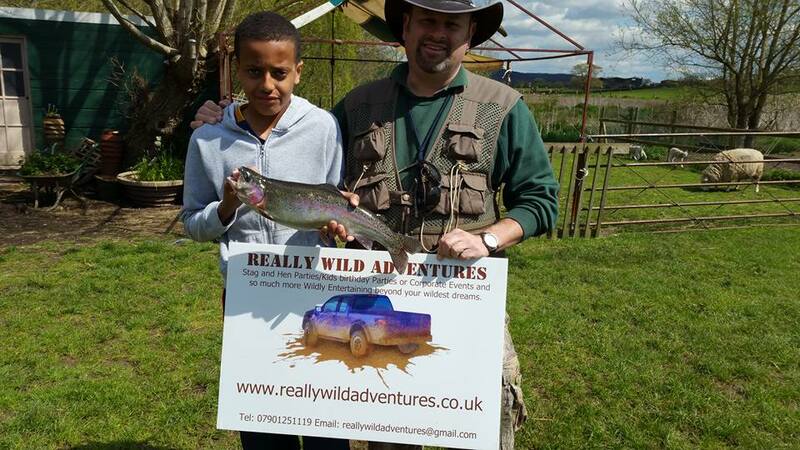 The organiser, Rob Collins, contacted me and we arranged for one of my grandson’s who had a 12th birthday recently, five of his friends and his 9 year old brother to spend last Saturday afternoon at Jackland’s fishing lakes in Tickenham. Everyone involved at Jackland’s are very friendly, from Ned the dog who greets you on your arrival at the car park, to (Caroline) The lady who makes great coffee, tea and hot rolls and cakes in the café. 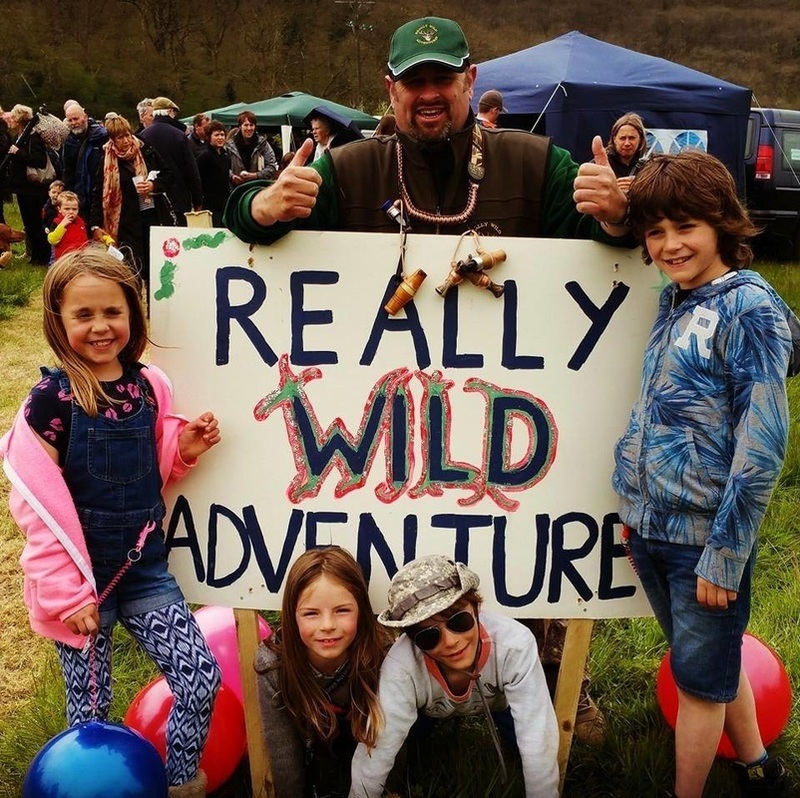 Rob Collins and his Really Wild Adventures team are professional, informed and very patient. 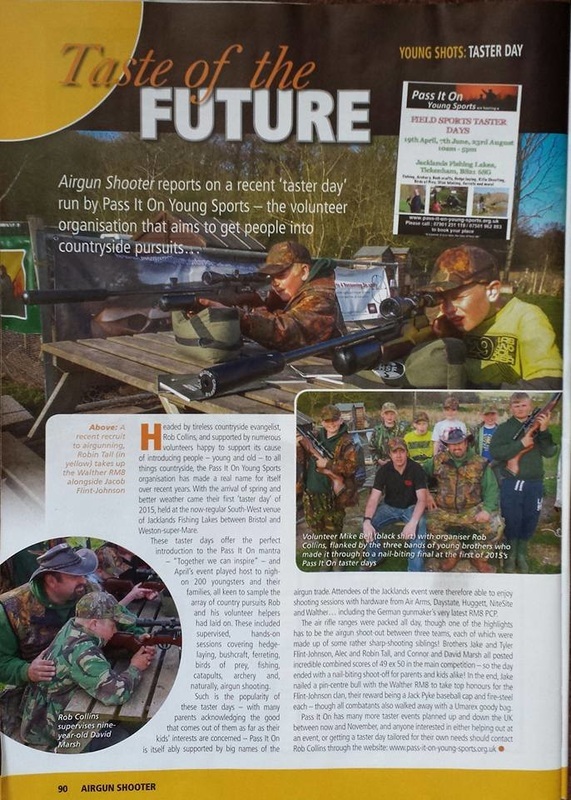 The explanation of what was required in the way of safety and how to use the fishing rods, the air rifles and pistol was concise and relatively quick so the boys did not get bored before being put into small groups of 2 and 3 to try the different activities on offer. This meant that the boys were 100% supervised at all times and therefore were totally safe. 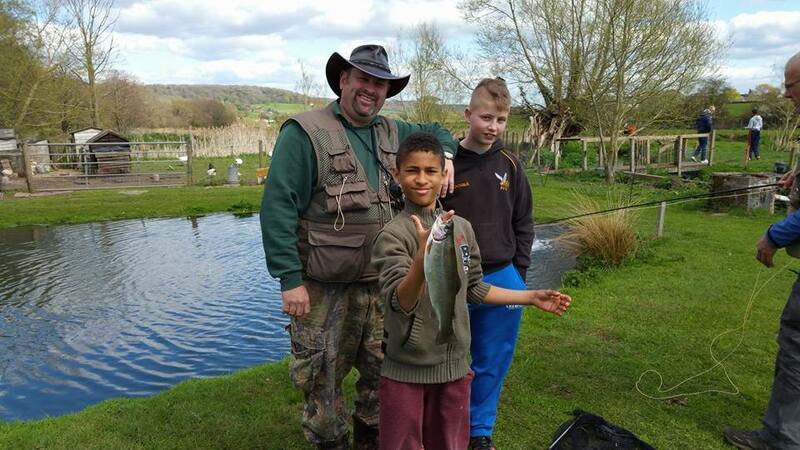 In the fishing activity all of the boys caught at lease one trout each, thoroughly enjoyed themselves and were proud of their achievements. 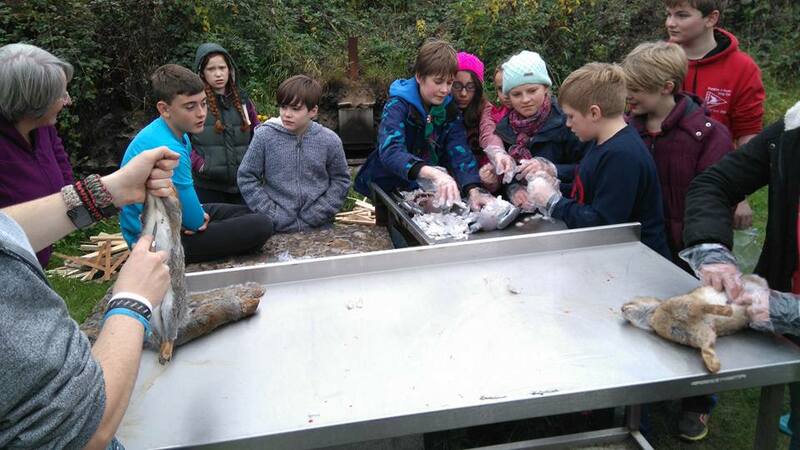 They each took their catch home and were told how to best cook them to eat. I was not too sure how the afternoon would go with the boys as they are all ‘townies’, used to football and theme park parties but they all said that they had a great time and did not want to leave when the day was over,Everything is perfectly suitable for girls too of course, so I can see myself and the other parents being asked to book their next birthday parties with Rob and his team as we all had such a great time. 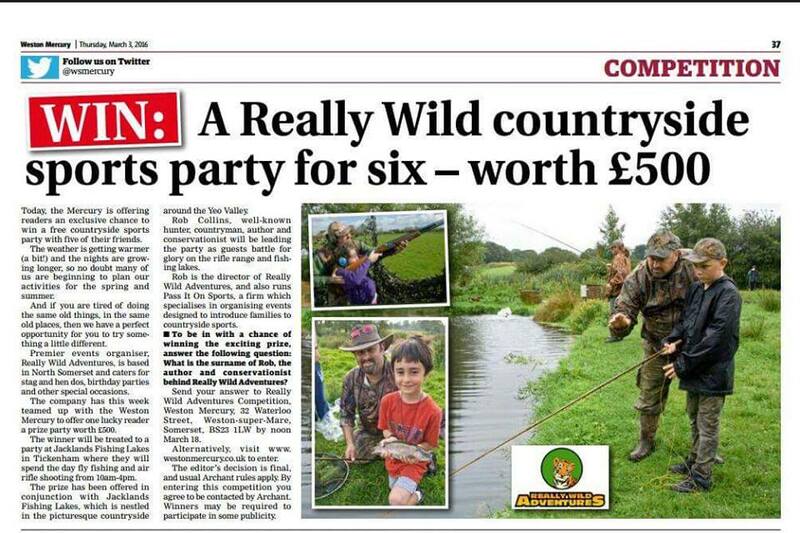 So once again many thanks to the Mercury, Rob and his team and everyone at Jackland’s. The new born lambs and crazy hens, ducks and the geese sheep and goats were a pleasant added bonus too. 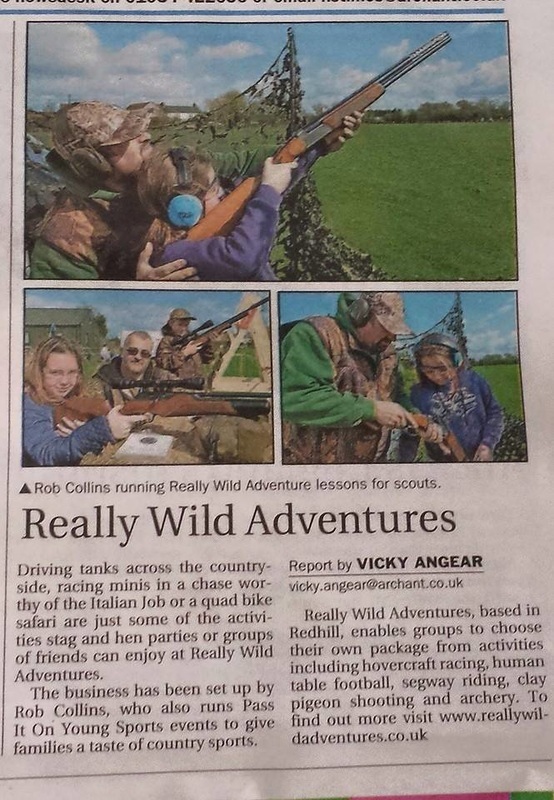 All of us from Patchway Brabazon Explorers would like to say a massive thank you to Rob for coming to our camp on Saturday. They very professionally taught the Explorers the danger of guns with a full gun safety briefing, then how to prep and cook 3 different types of game ( rabbit, squirrel and pigeon) as well as gave the explorers a trapping and trapping lesson and bush craft survival lesson, the hours you spent with us made the camp a lot more enjoyable and you have been requested to come back and teach us some more. I will definitely recommend you to other scouting groups. Thank you guys Steve.